What does 3D printing entail and how is it useful today? What is 3D printing? What is 3D modeling? In an increasingly tech and design-savvy world, these questions are being asked rather often. 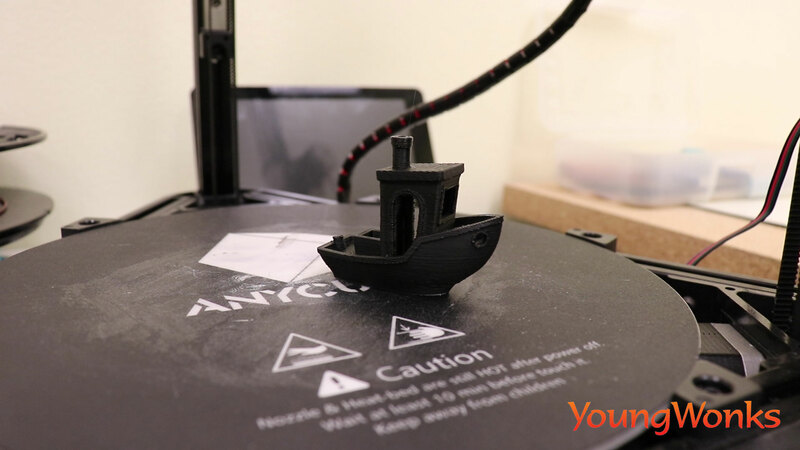 This blog then takes a look at what 3D printing is all about and how a printer can create a 3D object. And the next blog in this series (https://www.youngwonks.com/blog/What-is-3D-Modeling) talks about 3D modeling in detail. 3D printing refers to several processes where material is joined or solidified under computer control to create a three-dimensional object. This can be done by adding material together; say, liquid molecules or powder grains being fused together). This includes processes in which a binder material is deposited layer by layer onto a powder bed with inkjet printer heads. The 3D (3-Dimensional) object thus created can be of almost any shape or geometry. Typically, such an object is created using digital model data from a 3D model or another electronic data source such as an Additive Manufacturing File (AMF) file (usually in sequential layers). This 3D object could be literally anything - it could be a toy, a chair or even a house - yes, you read that right! Today, there are many different 3D printing technologies available. For instance, stereolithography (SLA) or fused deposit modeling (FDM). These technologies are assisted by a computer-aided design (CAD) model or an AMF file, and the material is added layer by layer to eventually produce the three-dimensional object. 3D printed models / objects created with CAD usually have fewer errors and these can be corrected before printing, as CAD allows verification of the object design before it is printed. Another big part of 3D printing is 3D scanning which is the process of collecting digital data on the shape and appearance of a real object, and then creating a digital model based on this data. Thus, 3D printing is used in both rapid prototyping and additive manufacturing. How is a 3D object created using a printer? To understand this, first let’s look at how a regular paper printer works and a regular printer here is. a printer that prints on paper. How does this paper printer work? It prints on the paper using the printhead. Once you turn on the printer, the printhead moves and it sprays ink on the paper in the shape of the characters we are looking to print on this paper. Now what if the printer were to add multiple layers - one after another - over a period of time? And instead of ink, layers of a thicker material / filament were repeatedly sprayed on top of another so as to make a 3D object? This is exactly what happens with 3D printing. A 3D printer then is a printer that sprays out this thick filament and the component that sends the correct amount of filament to the hot end - where it’s melted and extruded down in thin layers to make the object (or its part) - is called an extruder (shown below). It’s important to note that the extruder is not the same as the hot end; in fact, the extruder is commonly referred to as the “cold end” because the filament is cold when it passes through the extruder on the way to the hot end. Now it’s important to note that there are several types of 3D printers. Take for example, an SLA printer. Now SLA takes it name from the stereolithograph apparatus which is used to convert liquid plastic into solid 3D objects. This method is the oldest one in history of 3D printing but it’s still being used today; some SLA printers use lasers and some others use metal powders. 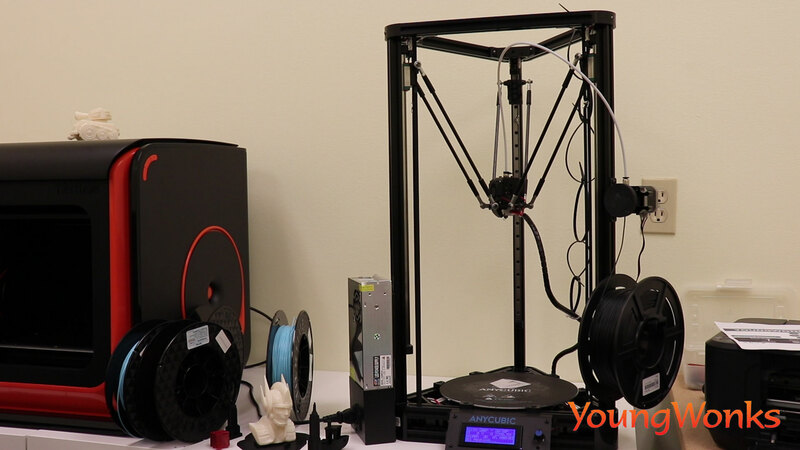 A popular 3D printer today is the Delta 3D printer (shown below); it is called so due to its delta-shaped arms which make the printer’s extruder move and that’s how it prints. This is a type of FDM (Fused Deposition Modeling) printer. Just like in the regular printer, these Delta 3D printers have their printheads that print layers on top of another. Except here the ink is replaced by a filament as the former doesn’t have the kind of thickness needed to create a 3D object. The filaments can be made of plastic; these filaments are called ABS (Acrylonitrile Butadiene Styrene). There are also corn/ plant-based filaments which are called PLA (Polylactic acid). Both PLA and ABS are thermoplastics. While ABS is more rigid and is found on Lego bricks, PLA is biodegradable and less toxic. Now to run a 3D printer, the filament goes through the tube and is fed to the extruder. This extruder then passes the right amount of filament needed to the hot end where this filament gets heated up and melts. Then this molten filament passes through the nozzle which ensures that the filament is being poured out in layers in a fashion that will help us achieve the shape of the 3d object we are aiming to create. Another kind of printer commonly used today is the Cartesian type 3D printer. These are also FDM printers as they too release the molten filament and print the object in a layer-by-layer manner. Both Cartesian and Delta type printers are classified under FDM printers because they print using plastic filaments that melt and pour out in the form of vertical layers. However, the extruder movements in the Cartesian type printers are different from those in the Delta type printers. In fact, these printers are called Cartesian because they move along the Cartesian plane (like the one from math class). In these printers, movements occur along the X, Y, and Z axis rods/ coordinates. In other words, in Cartesian printers, we have printheads going left and right, front and back while the print bed (the surface of the 3D printer where a print head lays down the materials that make up a 3D print) goes up and down. In Delta type printers, the print bed is fixed and only the extruder moves. Moreover, instead of the XYZ rods, delta printers have three arms - attached to three vertical posts arranged in a triangle - supporting the extruder. In addition to the above mentioned differences, Cartesian type 3D printers are said to be more precise when compared to Delta type printers. However, the former are not meant for speed. Delta type printers are the opposite; they may not be as accurate in terms of shape and / size of the object, but they are rather fast. Among the Cartesian printers we also have enclosed printers. Most printers today are not enclosed; but enclosed printers are recommended as they have a carbon fiber filter that keeps out the fumes, make these printers safer especially for them to be used in a regular room/ non-industrial setup. 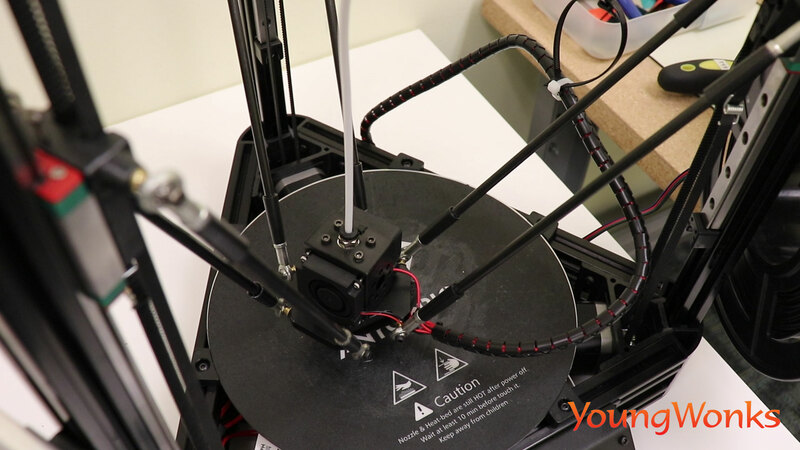 We shared earlier how filaments can be PLA or ABS. But how does one know what type of filament it is? The answer is: look at the label. 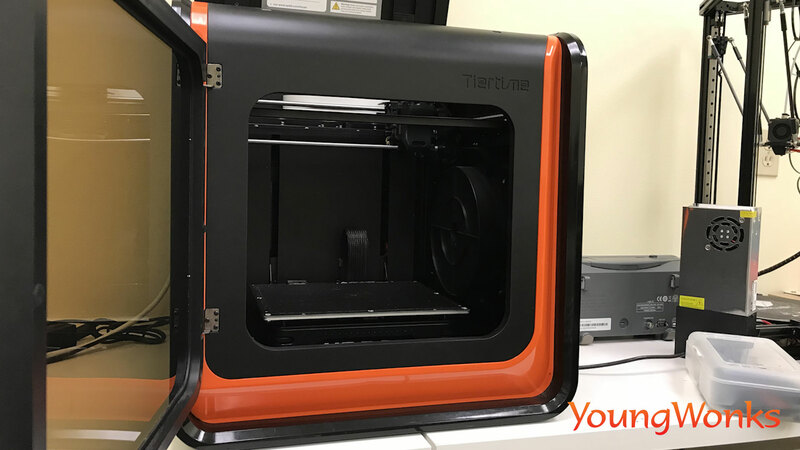 The label also shares how much filament there is in the roll (in terms of weight), and the melting point of the filament which you need to set in the printer so as to allow it to melt the filament and make the 3D object. 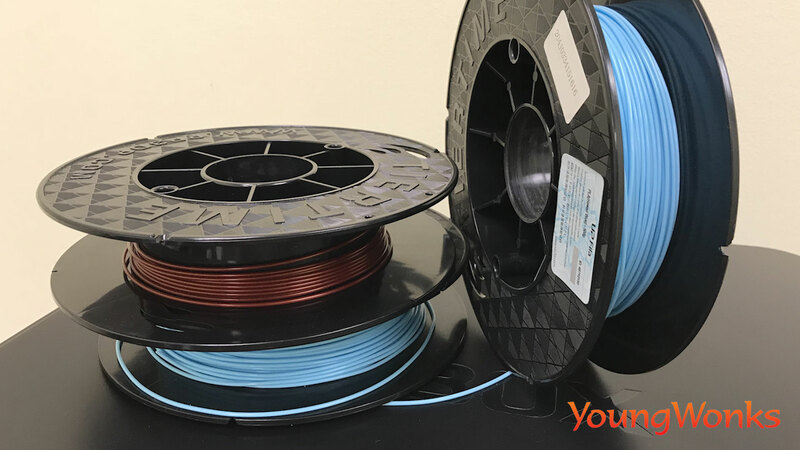 Typically, the melting point for PLA filaments is between 180 to 220 degree Celsius, whereas ABS filaments melt at temperatures between 225 to 250 degree Celsius. These filaments come in different colors; you can choose the filament depending on the color of the 3D object you wish to make. Some of the examples of 3D objects one can create are say, a toy tank, parts of which can be printed separately. These pieces can be glued together or made to sit on top of the other. Then there’s 3DBenchy, a 3D computer model specifically designed for testing the accuracy and capabilities of 3D printers (shown below). This model is popularly used for testing because it has lots of curved surfaces. If you liked this blog and wish to try your hand at 3D printing, you can check out websites such as www.thingiverse.com and www.shapeways.com. The former is a leading community for discovering, making and sharing 3D printable things. With the latter, you can work with a skilled product designer to turn your ideas into real products. 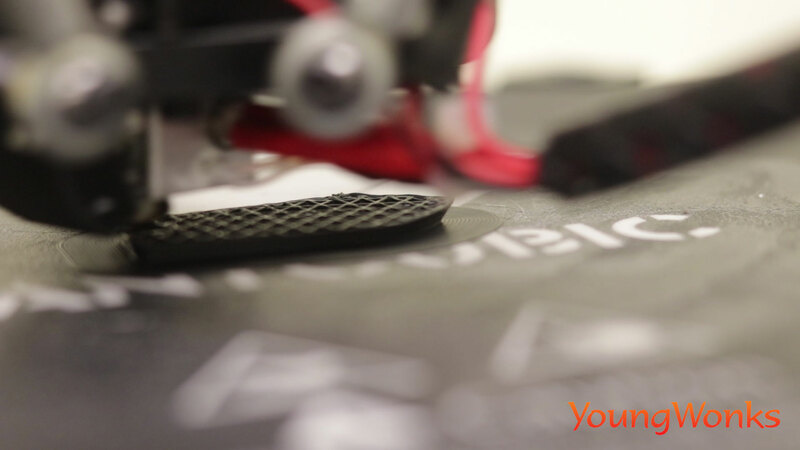 You can start from scratch or help enhance an existing 3D printed product. Earlier this year, a family in France made it to the news for being the first family to move into a 3D printed house; the four-bedroom property is said to be a prototype for bigger projects that will see house-building become quicker and cheaper, thus causing a major shift in the building industry. Indeed, these houses are said to take far less time to print / build than the regular house. The four-bedroom house, for instance, took 54 hours to print - with four more months for contractors to fit things such as windows, doors and the roof - and with the cost to build around £176,000, it is said to be 20% cheaper than an identical construction using more traditional solutions. So the question is how are these 3D houses being made? The answer is: broadly speaking, in the same way that a 3D object is made. There are some differences, of course. For instance, unlike a 3D object, a 3D house is not made from filaments; instead there's concrete that is laid on layer by layer at the selected location thereby bringing the 3D house into existence. Another interesting application of 3D printing is that of 3D printed prostheses. In fact, 3D printed prosthetic limbs are already being used today. As shared in several news reports, hospitals in warn torn areas - including Syria - are now looking at fitting injured war refugees with 3D printed prostheses. 3D printing technology is particularly useful here as it allows artificial limbs to be designed and built even within 24 hours, and at a fraction of the cost of conventional prostheses. Moreover, the printed prosthesis can be designed to suit the patient's specific needs. This could include making the prosthesis as per the corresponding limb, or according to the particular work the patient hopes to perform with it. It's also possible for the prosthesis to be designed remotely, as only the scanning and printing needs to be done on site.